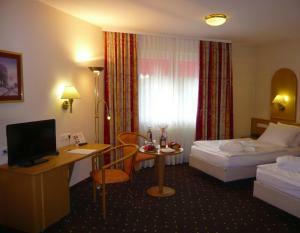 This self-catering accommodation located in the north of Berlin, 8 km from Tegel Airport. 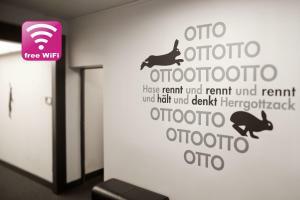 Romantica-Berlin is a completely non-smoking apartment offering free WiFi and a fully equipped kitchen. The apartment will provide you with a flat-screen TV, a DVD player and a terrace. The private bathroom comes with a shower, hairdryer and towels. You can enjoy a garden view from the room. Free parking is available at Romantica-Berlin, in the Reinickendorf district. Holiday apartment 255802 Connect . daytime discover the enjoyment of the cultural diversity of a fascinating metropolis with the night in one of the most popular recreation areas in Berlin the lively Berlin and relax in the evenings in the countryside in peace! Holiday apartment 268654 Welcome to our apartment in the lovely and green north of Berlin. 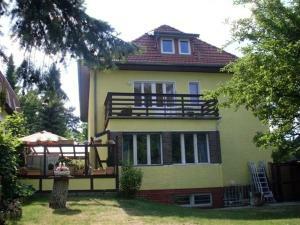 Frohnau is part of the suburb of Reinickendorf and offers a real alternative to staying in the hustle and bustle of downtown. Holiday apartment 269063 The apartment was furnished in August 2014 with new high quality furniture and is located in a prestigious building. It has wood floors, stucco, natural stone one, a high gloss kitchen with induction cooktops and more. Holiday apartment 269354 This 100 m² newly renovated apartment is attributable to superior equipment class. The apartment is located in a quiet side street and invites you to relax. The two bathrooms are tiled with tiles or granite. Both shower and bathtub. Haus Blankenberg price per day from €79 Set in 2 different locations in Berlin’s Pankow and Reinickendorf districts, Haus Blankenberg offers apartments and rooms with cable TV. They are all within 1 km of an S-Bahn Train Station. Each of the warmly decorated apartments includes a fully equipped kitchen and a dining area. The rooms offer shared bathroom facilities and access to a shared kitchen. You can prepare home-cooked meals or visit one of the many restaurants and bars within a 10-minute walk away.